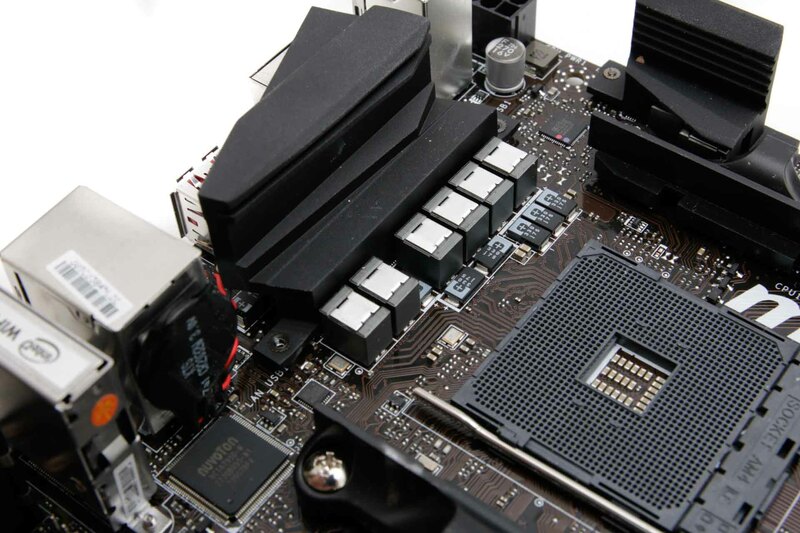 Motherboard manufacturers hedged their bets with AMD's AM4 platform, focussing on ATX and micro-ATX form factors, and as a result it's only been comparatively recently that we've seen mini-ITX offerings from prominent companies. Asus went high-end with its ROG Strix X370-I Gaming, while Gigabyte 's AB350N-Gaming WiFi aimed at the other end of the spectrum, retailing for £110 at launch and now available for less than £100. MSI has waited for the launch of AMD's Ryzen CPUs with Radeon Vega graphics (APUs) to reveal its first mini-ITX AM4 board, and for those on a budget, the MSI B350I Pro AC should give you another option to consider. 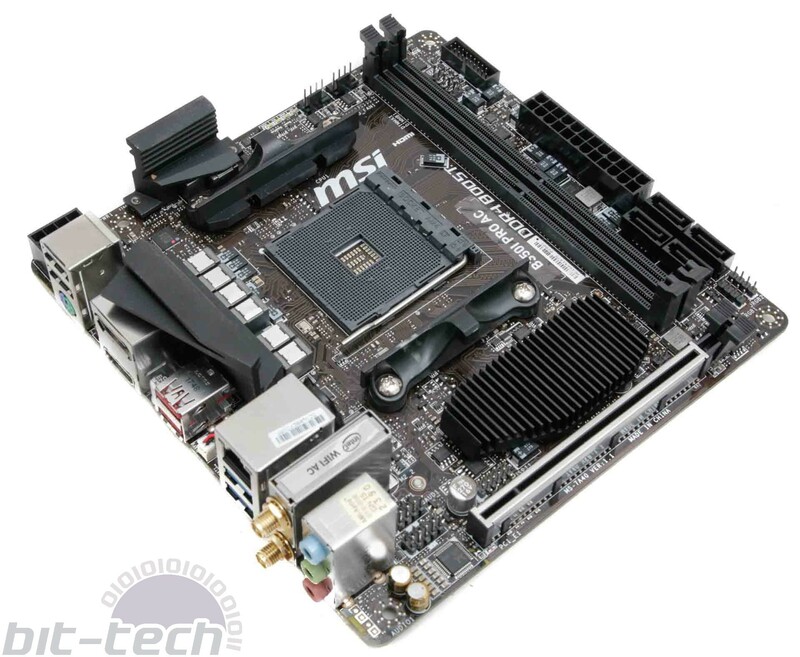 At an MSRP of £109, the board is going up against Gigabyte's AB350N-Gaming WiFi, and the latter is certainly a little more attractive with a less obvious brown PCB and some red details compared to the slightly generic black theme going on with the MSI board. 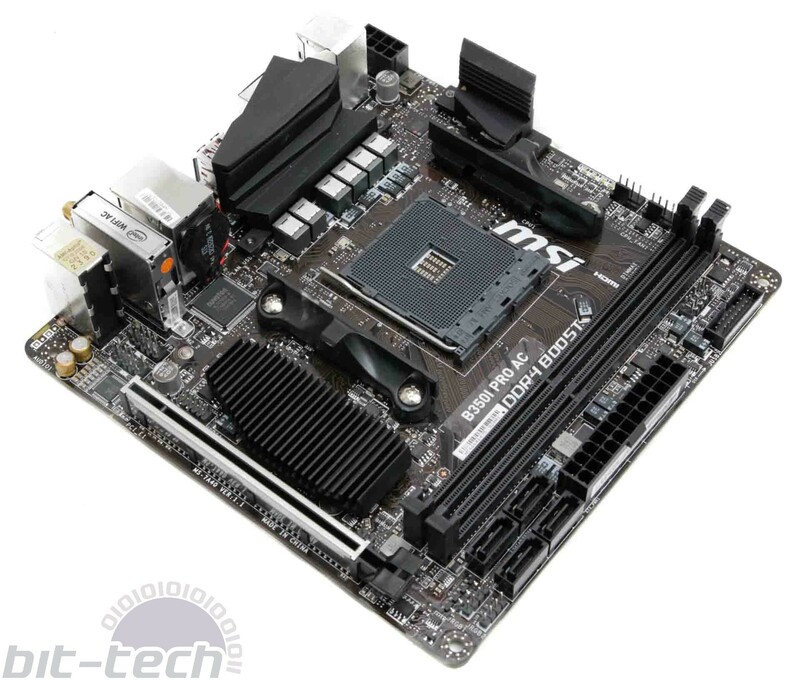 However, the MSI job sports a more capable power delivery with a total of nine phases compared to just six on the Gigabyte board, with larger and more numerous heatsinks too. 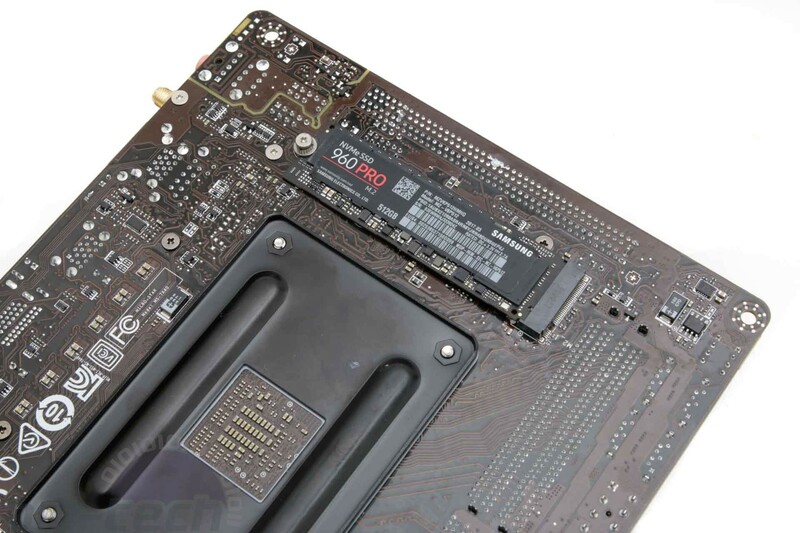 Both boards could do with more fan headers, with just two included on each, but they match each other in terms of storage ports, with four SATA 6Gbps ports and a single rear-mounted M.2 port that can handle either PCIe- or SATA-based M.2 SSDs. Neither boards have a USB 3.1 Type-C port, instead opting for a smattering of Type-A ports across the USB 2.0, USB 3.0, and USB 3.1 flavours. Despite its low price, the MSI B350I Pro AC sports two four-pin RGB LED headers although there's no lighting on the board itself, presumably to keep the price down. 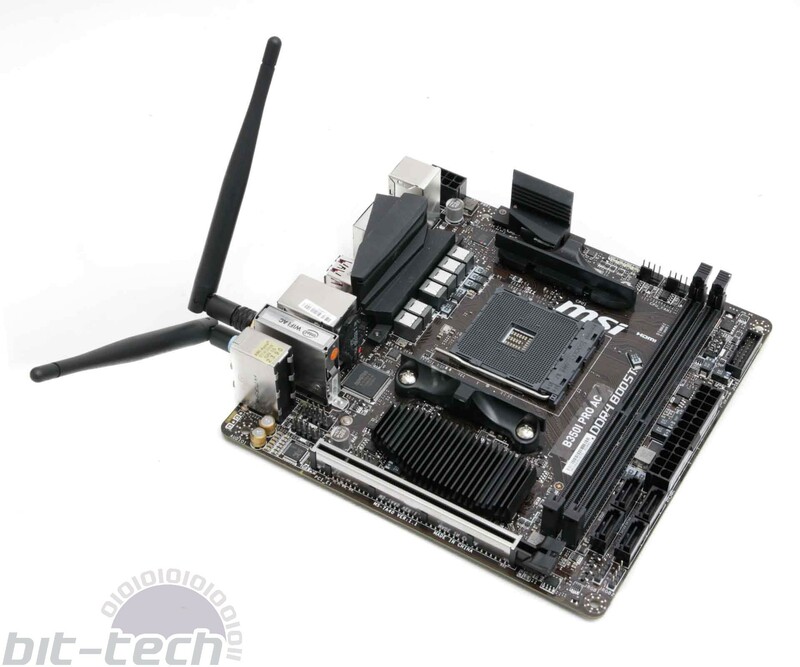 Like the Gigabyte board it also has onboard 802.11ac Wi-Fi with a pair of screw-on antennas in the box, but one thing the MSI board does lack is a modern audio codec, opting for Realtek's ALC887 compared to the Gigabyte board's ALC1220. 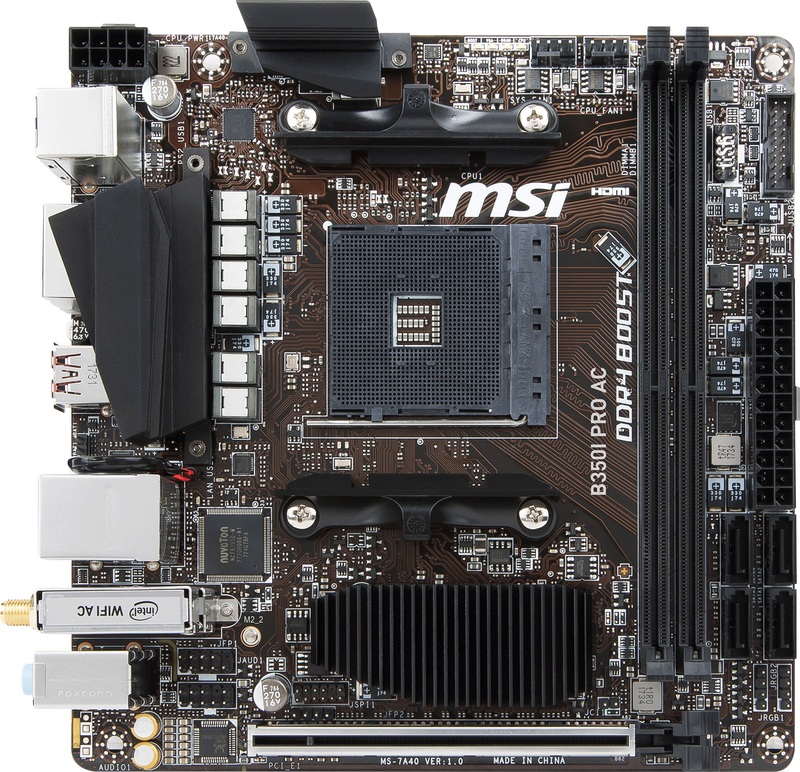 In addition, the MSI board only has three audio outputs, lacking an optical output and limiting scope for multi-channel speaker setups. Gigabyte beats MSI and Asus to market with a mini-ITX AM4 motherboard, but can you really build an eight-core Ryzen 7 PC with it?